In other words, Sales wants the “Glen Garry Leads.” As Shelley “the Machine” Levine from the movie would say “The leads are weak.” They don’t want the regular leads, they want to work the premium leads. 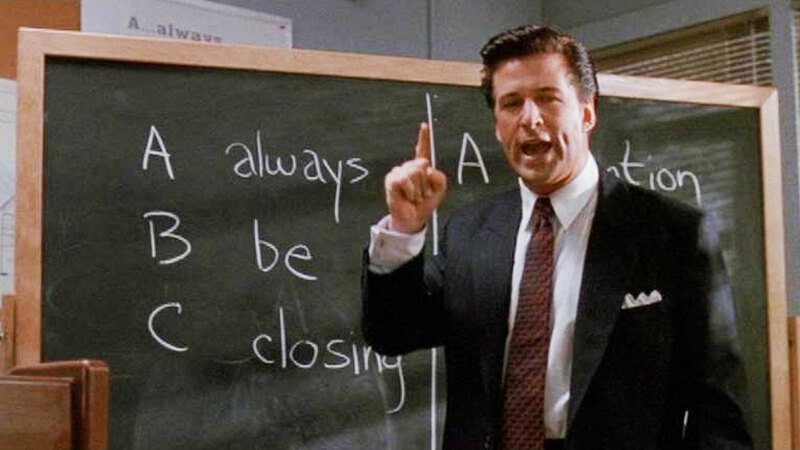 The Glen Garry play is a “can’t lose” tactic by the sales leader, especially when s/he is at risk of missing quota. If marketing somehow succeeds then the sales team gets what they think they need. And if they fail then marketing can become the scapegoat for why the sales team is missing their number. It is easy for the Head of Sales to get the support of other senior executives for the Glen Garry strategy. To a CEO, CFO or Board Member the request to “call high” sounds completely legitimate. Most CEOs operate with a view that there product is the most important thing their customers can possibly purchase to improve their growth or financial performance. So the question of why aren’t we having more conversations with senior-level executives is one that will resonate with the CEO. Access – C-Level executives are more challenging to reach through traditional approaches. Executive assistants screen their boss’ phone calls, open their packages and transcribe their voice mails. Attempts to circumvent these gatekeepers are typically unsuccessful as C-Suite executives are typically consist the busiest people in the company. And they are therefore less likely to read emails from unknown senders. Social media is challenging as well, because someone else typically manages their accounts. That blog post the CTO published was ghost-authored by a writer at the public relations agency. And the CMO’s Twitter account is actually being managed a social media manager in the marketing department. Below – Perhaps, the greatest challenge setting appointments with most C-Level executives is that they don’t want to talk about the topic you plan to discuss with them. You might get lucky. For example, if you happen to call on the right day when they are experiencing significant pain on the topic you would like to discuss. But even if your timing is dead-on you may get pushed down below in the organization to another point of contact. Many of the most successful C-Level executives are successful because they delegate and empower people at multiple tiers of their organizations. Competition – The two challenges outlined above are compounded by the fact that there are thousands of other companies also calling on these same senior level executives. Hundreds of other sales leaders are pursuing the same strategy of trying to call high into the Very Important Top Officer (VITO). I’m fairly certain “Call High” is the title of Chapter 2 in the 1980s best-seller “How to Run a Sales Organization.” The competitive dynamic further lowers the already remote odds of success. Question: Wouldn’t you rather meeting with the Director-level person running the project to get background, insights and coaching before jumping into a C-Level discussion? You may only get one shot at talking to the Senior VP? Question: You are a C-Level executive – do you return voice mails from vendors that call you? What about email messages? LinkedIn invitations? Of course, it is possible to book appointments with C-Level executives. However, it takes significantly more time and effort. As a result, the result fewer leads per month delivered at a higher cost per lead. The big question is – Is it worth it? Do premium leads with C-Level executives outperform other leads with Manager, Director and VP level executives? More thoughts in my next post.